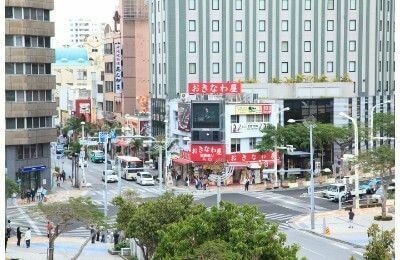 Walk around Naha city on the Day 1 of your arrival at Naha Airport. Try local food in the airport, and head to T Galleria Okinawa by Yui Rail. From there, go to the popular sightseeing site Shurijo Castle Park and feel the history of Ryukyu. 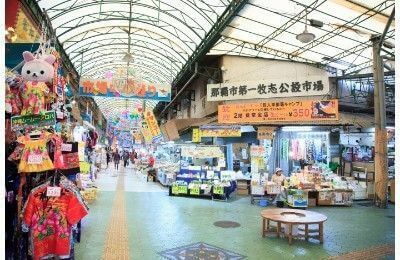 Move to around Kokusai Street and visit Makishi Public Market, Heiwa Street, Tsuboya Yachimun Street, and Kokusai Street in order. All are in a walking distance. 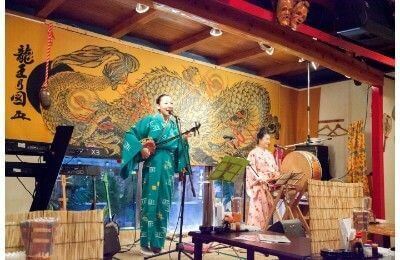 Finally, go out to the Minyo (folk song) izakaya “Jizake Yokocho” on Kokusai Street. Enjoy drinking and dancing there. Many restaurants serve various types of dishes including Okinawan cuisine gather on the 4F of Naha Airport Domestic Terminal. 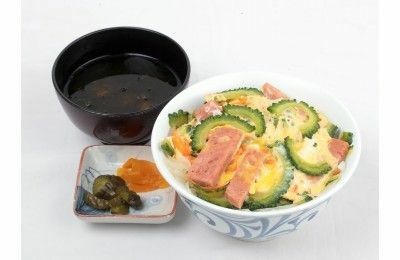 Especially, Donburi Restaurant “Shiki” is popular for donburi (bowl) dishes which are based on Okinawan cuisine.Egg-drop Goya bowl, based on popular goya champuru (stir-fried bitter melon), is no doubt that you will love the crunchiness of goya and the flavor of pork. Dounburi Restaurant “Shiki” Information*Only in Japanese. 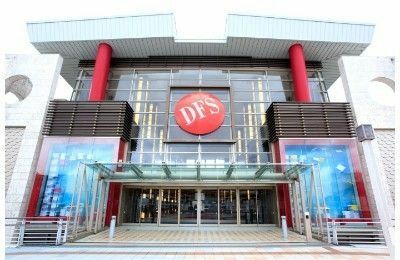 This is the only downtown duty free shop in Japan, and over 130 brands are available here. It features a huge parking lot, and it is convenient that it is adjacent to the Yui Rail Omoromachi station. Purchased tax-free items will be received at the airport before boarding instead of the shop, so anybody can use this system without worrying about baggage while sightseeing. 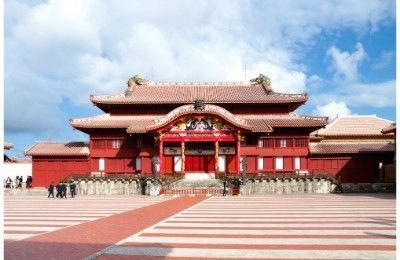 The sightseeing spot, which represents Okinawa, was designated as world heritage in 2000 and is the landmark that symbolizes the prosperity of Ryukyu Dynasty. It is about 5 hectare of land. However, only a part of the park is open for public. Visitors need to follow a series of arrows, and it takes about 1 hour to 1 hour & 30 minutes to take a tour. If you want to take more time to see, take a free tour guide with you. The tour guide will show you paid-zones. 4. ENJOY RYUKUCOSPLAY AT THE WORLD HERITAGE SHURICASTLE. Wearing the traditional costume from the era of Kingdom of the Ryukuschanges the frame of mind. Visitors can try on traditional costumes, take photos, and participate in a tour of the ShurijoCastle Park. The ladies will get a full professional hair styling and make-up. It takes about an hour to get fixed up in the costume. 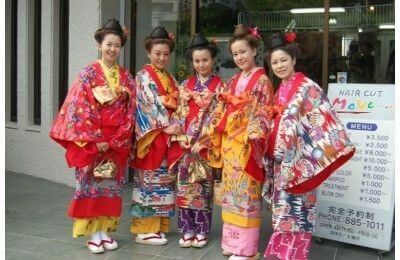 At first, it may be a little awkward to walk among other tourists in a costume, but after a while, you may feel like you are one of the royal family from the old Kingdom of the Ryukus. Having a stroll in the facility lets you imagine the lives of people back in time. “Experienceof RyukuCostume by Mode Mariage” is a comprehensive activity with a luxurious costume, hair styling, and make-up done by producers of court-style weddings, and a guided tour with a history specialist. At the ZakimiCastle Ruins (also a World Heritage Site), there are tourist plans including picture taking in a Ryukucostume. Why not be the King or Queen for a day? Various types of ingredients including fresh fish, meat, daily food and dry food are available at this market which is powerful and filled with excitement. Senior experienced staffs are so energetic. A system called “mochiage (lift-up)” is popular for tourists. 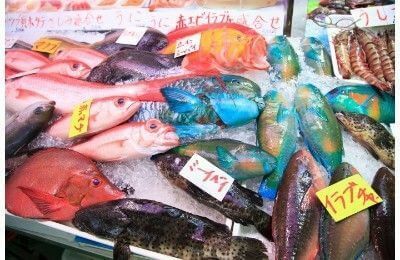 This is the system that you purchase fresh fish on the 1F of the market and ask for a staff of a restaurant to cook the purchased fish, which will be served on the 2F (500 yen each for cooking). Don’t miss it if you want to try the local fresh seafood. Makishi Public Market Official Website*Only in Japanese. Heiwa Street is an arcade starts from in front of Okinawa Mitsukoshi, and souvenirs and folk crafts for young people are available here. After passing the arcade, you will be on Tsuboya. It is the district that potters from each area gathered for orders by Ryukyuan Government. Along the well-maintained Tsuboya Yachimun Street, various types of yachimun (pottery) are lined up at old and new shops. Enjoy a relaxed atmosphere while feeling the history! Tsuboya Yachimun Street Association Official Website*Only in Japanese. 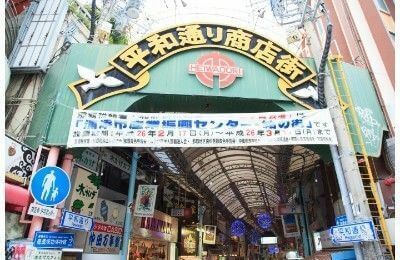 When it comes to shopping in Naha City, Kokusai Street might come to mind. 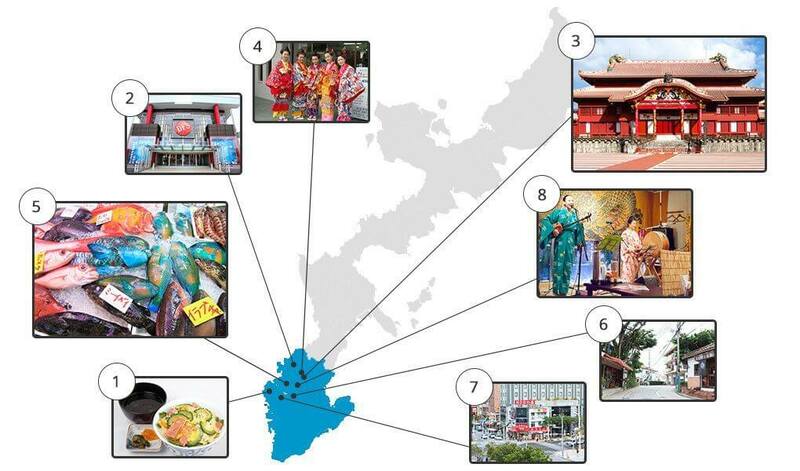 It is always filled with many tourists, and souvenir shops and restaurants are located. If you want to go to find fancy or unique stuff, take a back street. 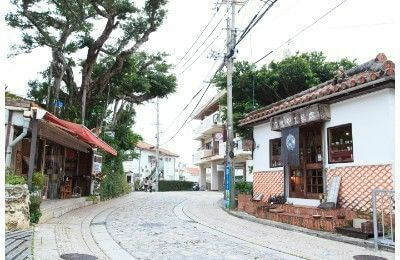 Traditional and modern mixed folk craft shop, fancy cafe and stand-like coffee shop are all located on New Paradise Street behind Matsuo bus stop. You can see the different view than Kokusai Street. This is an izakaya on Kokusai Street to enjoy Okinawan cuisine, local sake Awamori, and listening to the traditional folk song performance. A performance by band members including singers takes the stage for 3 times a day, and requests from guests are also welcomed. Lyrics of folk songs that represent Okinawa are displayed on tables, so you can take a look at them. You might get up and start dancing with guests and staff when you get excited! Izakaya “Zizake Yokocho” Official Website*Only in Japanese.